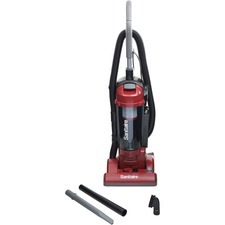 Compact, hang-up heavy-duty vacuum is designed for wet and dry vacuuming and includes a wall mounting bracket to install vac behind copiers or fax machines in closets for easy maintenance. Ideal for places where space is at a minimum. Use top handle for easy lifting and carrying. 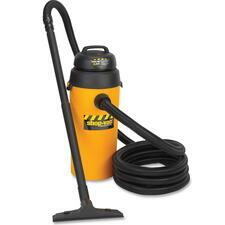 Vacuum offers a 5 gallon tank capacity, powerful 4.5 peak Hp motor, 18' power cord, and 1-1/4" diameter x 18' lock-on hose. Accessory assortment includes three 1-1/4" extension wands, 12" floor nozzle with brush, squeegee, round brush, crevice tool, gulper nozzle, tool holder and foam sleeve. Type-A allergen bags deliver a high level of filtration for common allergens to help prevent them from being dispersed into the air. Easy-to-install design goes on and removes quickly for time-saving replacement. 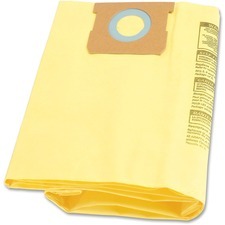 Disposable material allows you to conveniently discard filled bags for time-saving replacement. Allergen bags are designed for Hoover Conquest 14" and 18" vacuum cleaners (sold separately). Developed for daytime cleaning, the 3.5Q Sealed HEPA Upright is engineered to be the ultimate in bagless filtration with True Balance brushroll and an innovative sound-dampening system. Synthetic media filters 96.75 percent of allergens down to 0.3 microns for cleaner air. This LEED Compliant and CRI Green Label certified, bagless cleaner combines a clean-air system with the ultimate in bagless filtration, sealed HEPA and an extra-large dust cup. 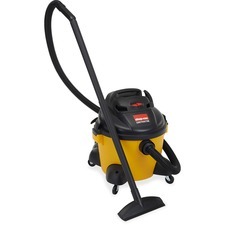 Industrial-duty vacuum is designed for wet and dry vacuuming. 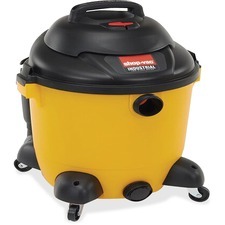 Vacuum offers a poly tank with tank drain, 12-gallon tank capacity, tank drain, powerful 2.5 peak HP motor with two-stage quiet operation, 35' power cord, onboard cord wraps and 1-1/2" diameter x 12' LockOn crush-resistant hose with two 1-1/2" interlocking metal extension wands. Accessory assortment includes 14" master nozzle with rug and squeegee inserts, crevice tool, round brush, 6" utility nozzle, tool basket, foam sleeve, UltraWeb cartridge filter and high-efficiency, collection filter bag. Wet/dry vacuum offers a powerful, 3.0 peak HP motor' 12' cord, 6-gallon poly tank, quiet operation and onboard accessory storage. High airflow is perfect for moderate use in general-purpose applications. Vacuum includes 1-1/4" diameter x 8' long LockOn hose, two extension wands, a gulper nozzle, wet/dry nozzle, crevice tool, tool holder, high-efficiency collection bag and UltraWeb cartridge filter. Advance filtration bags feature a hypoallergenic filtering system to reduce the amount of allergens being dispersed into the air. Easy-to-install design allows fast, simple replacement to minimize your time spent on maintenance. 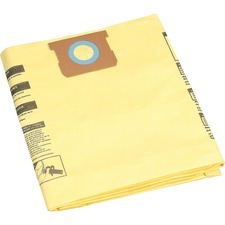 Disposable material allows you to conveniently discard filled bags for fast, easy replacement. Filtration bags are designed for use with compatible Oreck commercial upright vacuums ((U2000, XL2100 Series, and XL9000, U2000R-1, U2000RB-1, XL2100RHS - all sold separately). 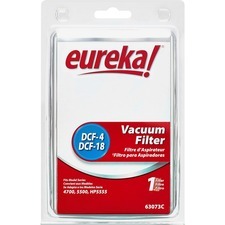 Eureka DCF-4/DCF-18 Vacuum Filter - Durable - 2 / Carton - White Allergen filter features a high-efficiency design to reduce dust and allergens in the air. Easy-to-install design ensures proper installation for quick replacements. Its durable construction maintains a tight seal for improved performance. Allergen filter is designed for use with Eureka 4700 series uprights (sold separately). 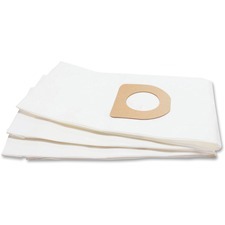 High-efficiency collection filter bags are designed for use with 5-8 gallon vacuums with side inlets. Use bags for dry pickup, especially fine dust like drywall and cement dust or cold ashes. 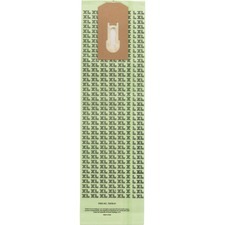 Each disposable bag offers a two-ply design and holds up to 8 gallons.